A newly-revealed patent looks at introducing smart, touch-sensitive fabric to existing Microsoft products. While the ability to directly interact with a device’s display via touch has become near-ubiquitous, Microsoft is looking to extend this user interaction further by exploring touch sensitivity in other materials. According to a patent submission recently uncovered by Windows Latest, Microsoft is looking to introduce smart fabrics into some of its product lines in order to act as an extra user interface alongside existing touchscreens and trackpads. The patent describes using touch sensors integrated into fabric as an interface, with this &apos;smart&apos; material then embedded into a wide variety of products, ranging from tablets and headphones to wearable devices, sweatbands and even couches. Given the images and descriptions filed in the patent, it seems likely that such surfaces will act as a gestural interface – for instance, swiping forward and back on the side of what appears to be a HoloLens in order to change the displayed overlay, or adjusting the volume when wearing a ‘smart’ headband and headphones simultaneously. While the patent takes care to avoid specifically mentioning any product, going as far to be deliberately broad with many of its depictions, it isn’t too much of a stretch to imagine the technology’s application to the existing fabric-clad Surface range. The first of such figures shows two zones on either side of a tablet, predominantly on the rear of the device where the fingers of either hand grip may hold it, and continuing around to the face of the tablet where either thumb would grip the bezel. 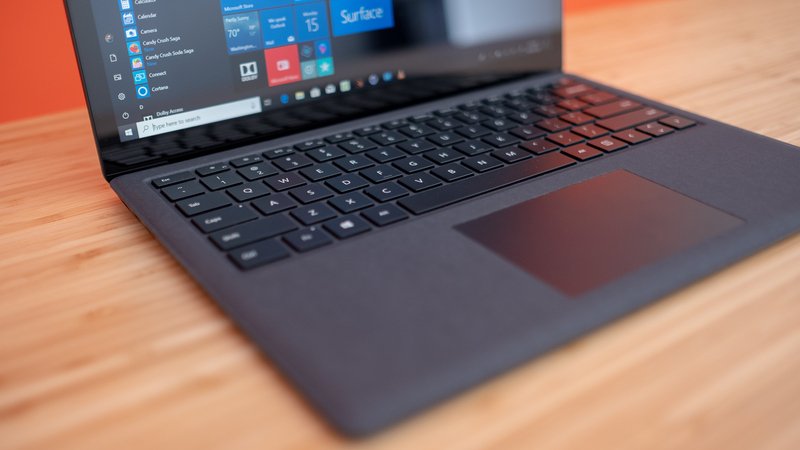 In this situation, the hands are in an excellent position to navigate such gestures as volume control, switching apps, or even potentially using a cursor on a Surface Pro 6 or similar device. Naturally, these are just patents at this point, but here’s hoping we’ll see Microsoft launch a smart couch with an embedded remote control.